What kid doesn’t love emojis? Okay, what person doesn’t love emojis? A few years ago my eldest daughter researched an entire project around the creation of emojis. Yep, that’s what kids are writing about these days. So, when we were brainstorming Christmas gifts to make for our family last year it is no surprise that our idea involved the beloved emoji. 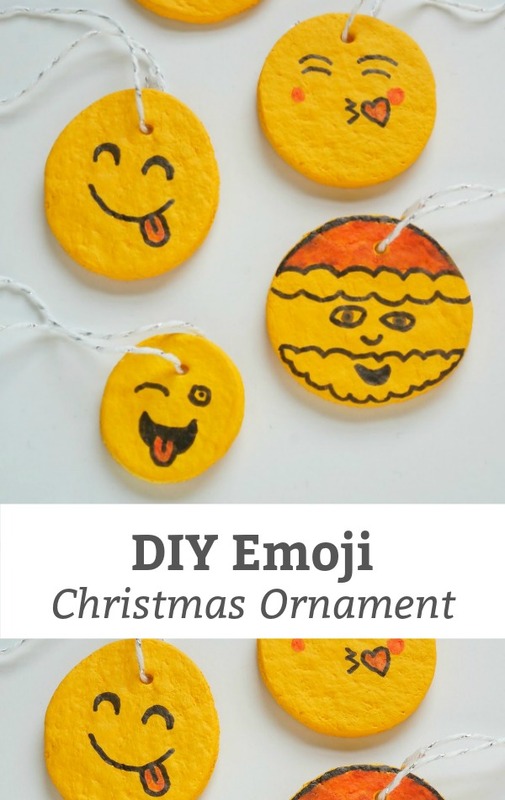 Using our favourite salt dough recipe, my daughters made silly, personalized emoji ornaments for everyone in our family. Every person has a different personality and there is an emoji that suits everyone. Whisk together flour and salt in a large bowl. Make a well in the middle and pour the oil and the water into the centre of the well. Use a wooden spoon to stir everything together, until a dough forms. 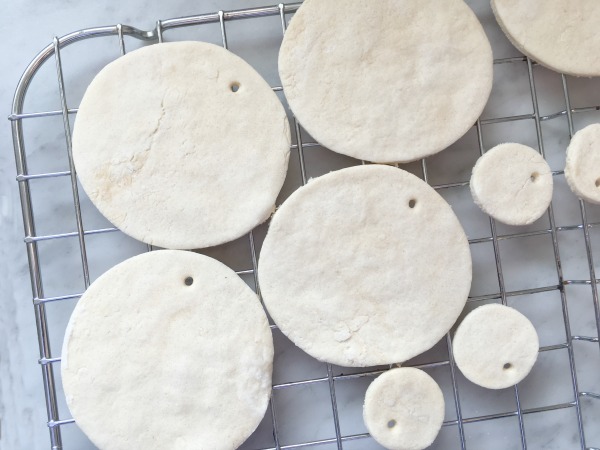 Roll out the dough on a lightly floured surface – about 1/8″ thick. We cut out small circles for the kids in our family and large circles for the adults. 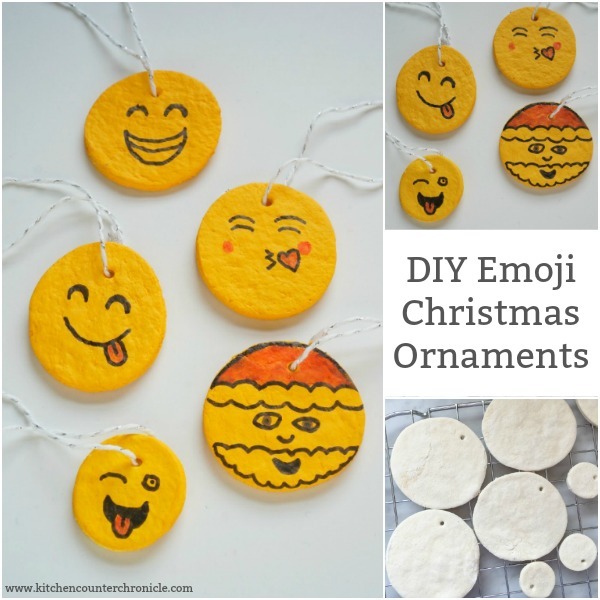 Don’t forget to use the straw to cut a hole in the circle, where you will hang the ornament. If you don’t have a straw, use a toothpick to poke a hole in the dough. Bake the ornaments in a 250F oven for 2 hours. Remove them from the oven and let them cool on a rack. Once the ornaments are cooled it’s time to have some fun. 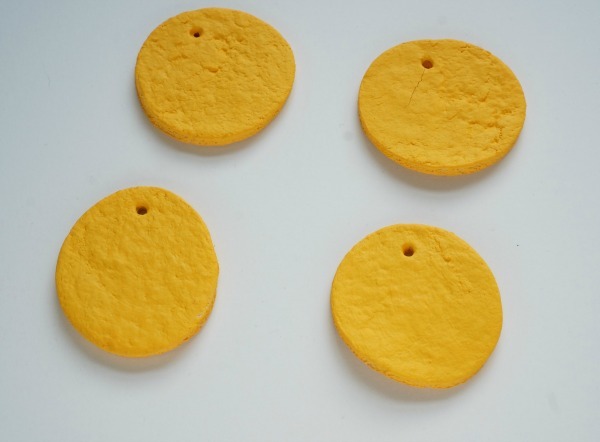 Paint both sides of each circle with the yellow paint. You might need 2 coats of paint. My girls planned out which emoji they would use to represent which family member. They even created a special Santa emoji. My favourite are the little kid sized emojis…they are so cute. 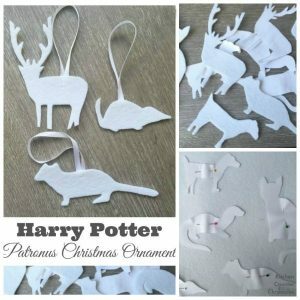 When the designs are done, coat each ornament with the Modge Podge (or a clear craft project sealer) and let dry completely. Then feed through the string and they are ready to hang on the tree. These were a lot of fun to plan out and create. 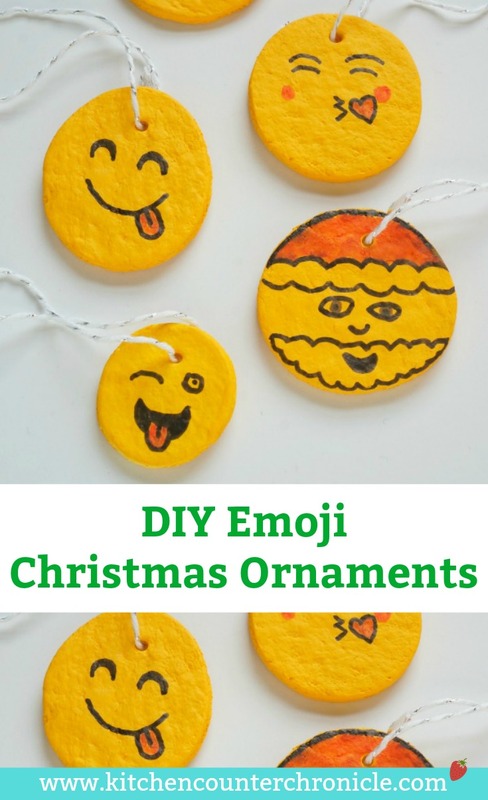 We love making ornaments for the tree – these emoji ornaments totally represent our lives in 2017! 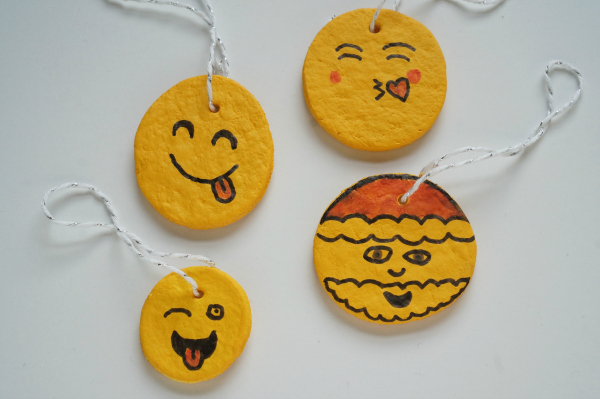 The only question is – what emoji are you? 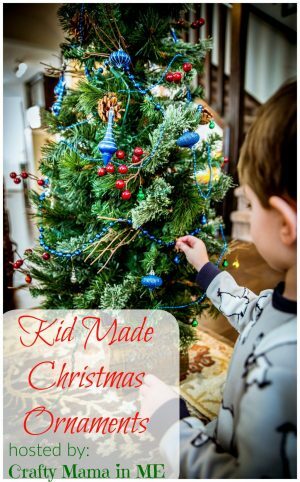 Today’s post is part of the Kid Made Christmas Ornament Blog Hop, being hosted by Crafty Mama in Me. 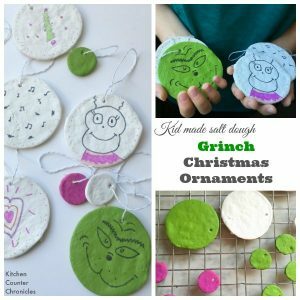 Head over and check out all the fun kid made ornaments being shared.